Faquier County's Dedicated Roofing & Gutters Pros - Best of Houzz! Founded in 1985, we are a team of professionals dedicated to providing superior roofing, siding, windows, doors, gutters, decking and more to the homeowners of Northern Virginia. Southernwood took root in La Plata, Maryland 13 years ago as a custom home building company locally owned and operated by lifetime La Plata residents Andy and Frank (F.D.) Mudd. Since then Southernwood has continually expanded its service base, extending its client list to include home buyers and owners, as well as a range of local and national builders. In 2006, the brothers formed Southernwood Framing, quickly growing the company within the residential housing market from about 150 homes per year to its current operating pace of 800+ homes per year. Southerwood Framing’s territory stretches from St. Mary’s County north to Hartford County. The company’s growth and sustainability are due in large part to the relationships the Southernwood team is able to form with the builders they work for. 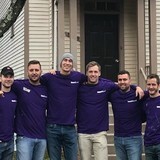 They continually demonstrate their ability to perform a quality job at an efficient pace, while always remaining a team player in the hectic world of new construction. Expanding the company further, Andy and F.D. 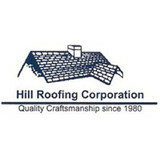 formed Southernwood Roofing and Siding in February of 2012. They quickly gained ground in the industry with the help of 10-year industry veteran Ken Gentry who was hired on as Vice President to handle day-to-day operations. Ken shares the Mudd brothers’ laid-back, get it done attitude, and more than understands the importance of delivering quality work in a timely fashion. In late 2012, Mike Cusic joined the Roofing and Siding team as Sales Manager, heading up the day-to-day activities for our remodeling/maintenance division. Mike is a 25-year veteran in the industry and brings extensive product knowledge to the team. Taking a personal interest in every project he’s involved in, Mike brings an unparalleled honesty and integrity to his work. Together, the team has completed more than 500 individual projects in the past year alone, offering a wealth of knowledge and that extra level of commitment you just don’t see every day. Welcome to Peak Roofing Contractors, Inc., a family-owned and operated business that has proudly served Prince William, Fauquier, Culpeper, Loudoun, Fairfax, Arlington and surrounding counties for more than two decades. From top to bottom, our experienced staff has the credentials necessary to provide excellent quality and value for any Northern Virginia roofing or home repair need. At Peak Roofing Contractors, our mission is to provide our customers with the highest quality of workmanship, materials and product knowledge available in the Northern Virginia roofing industry. We accomplish this goal using a three-step approach: -Offer a wide-range of products to meet your needs and budget. -Provide you with the tools and knowledge necessary to make an informed decision. -Dedicate ourselves to your complete satisfaction throughout all phases of the project, from beginning to completion. 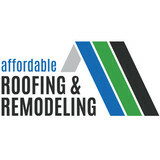 What do roofing companies in Woodbridge, VA do? Your Woodbridge, VA roofing contractor can install a new roof or repair an old one, as well as repair and replace gutters. Good roofers in Woodbridge, VA should be able to promptly inspect roofs and gutters to assess damage after a natural disaster or other event, and give you an estimate for the necessary roof repair immediately. Some Woodbridge roofing companies specialize in specific types of roofs, such as tile or metal, so make sure the one you are interested in works with the materials you have or desire. Find a Woodbridge roofer on Houzz. Narrow your search in the Professionals section of the website to roofing companies in Woodbridge, VA. If you’re planning a large-scale project, find other professionals on Houzz who can help get the job done. Here are some related professionals and vendors to complement the work of roofing & gutters: General Contractors, Specialty Contractors, Siding & Exteriors, Door Sales & Installation, Garage Door Sales & Installation.